NEWPORT NEWS, VA. – Grigory Eremeev wants to double the efficiency of some of the most efficient particle accelerators being used for research. 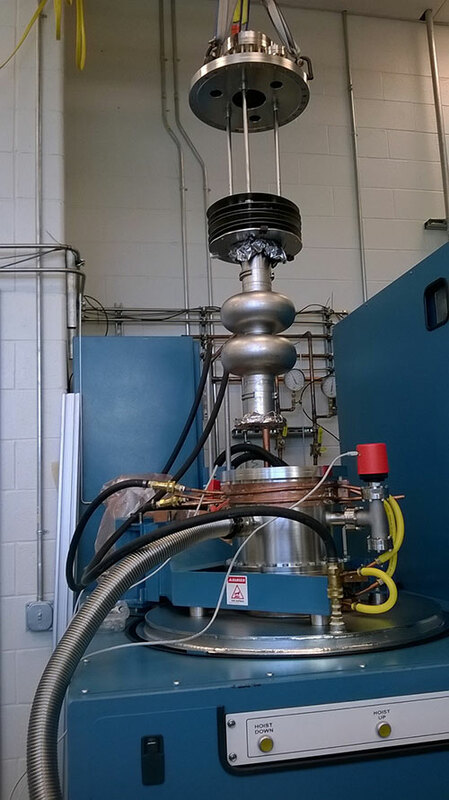 Now, the staff scientist at the Department of Energy's Thomas Jefferson National Accelerator Facility has just been awarded a five-year grant through DOE’s Early Career Research Program to do just that. Superconducting niobium cavities can store energy with almost no losses, allowing the structures to accelerate a continuous beam of particles. Jefferson Lab’s Continuous Electron Beam Accelerator Facility was the first large-scale accelerator to use this technology. Because of its efficiency, CEBAF has been used to conduct many experiments in the nucleus of the atom that weren’t thought possible before, and a recent upgrade of the machine has taken advantage of new technology advances, yielding even more efficient accelerator cavities.